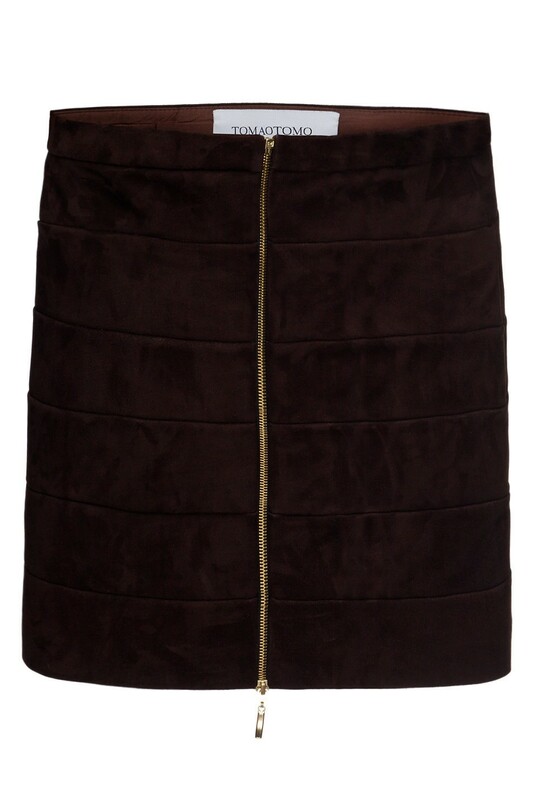 Mini skirt in brown color. The zpper adds an unique character to the design. Made out of suede genuine leather and soft silk lining.